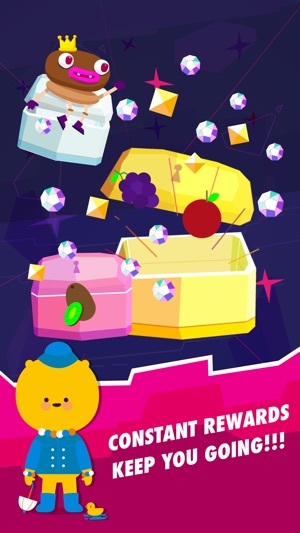 Wokamons are running out of resources and they need your help! Every step you take is turned into energy. Use it to feed, grow and collect Wokamons. 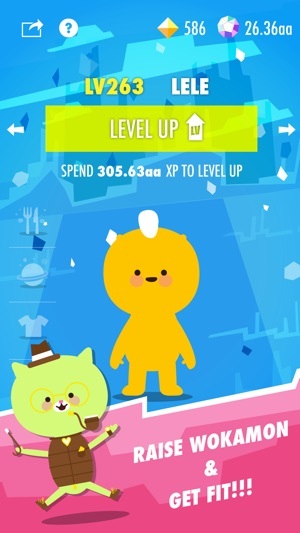 The more you walk, the more Wokamons you can collect and the further you get to explore the magical Woka-worlds like candy desert, icy realm, mystical forest and more! Lend a helping hand and soon you will find, the more you help, the fitter you get! Wokamon, an unique adventure and clicker simulation game on iPhone and Apple Watch, makes walking interesting and fun! Doesn’t matter if you walk, jog or run, outdoor or on a treadmill, Wokamon set out to make your fitness experience never be the same again: you will want to walk more, all day, every day! Please enjoy Wokamon with iPad and iPhone 6 and 6 Plus with optimised graphics. A long time ago in a galaxy far, far away, on planet Laya, Wokamons lived happily with their friends, the Layabots. They worked together and played together, turning the Layabots’ activity output into energy source for Wokamons. However the Layabouts got too lazy and eventually stopped moving. Wokamons got super weak and mega sad. 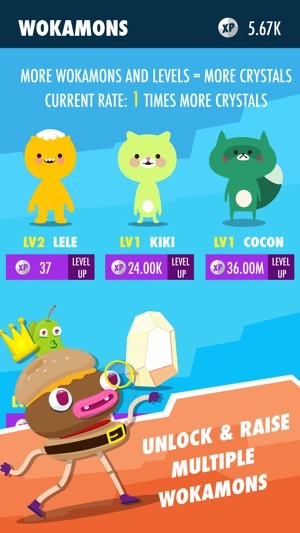 In order for Wokamon to thrive again, Wokamon elders decided to send some young and brave Wokamons to plant Earth to harness energy from the human race and to start their adventure. Permissions - Make sure to grant all permissions when asked to authorise with the Health App to make it work. 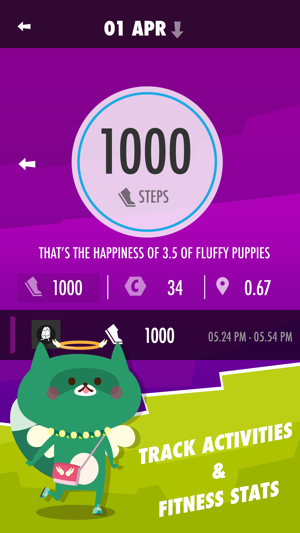 Power consumption (iPhone 4/4S/5/5C) - Wokamon requires background location (GPS) for built-in pedometer. Although Wokamon is designed to consume less power, please be aware that continued use of GPS running in the background can dramatically decrease battery life. I had originally written a bad review because the app was not behaving as I'd hoped, but I feel like I was a little hard on it. 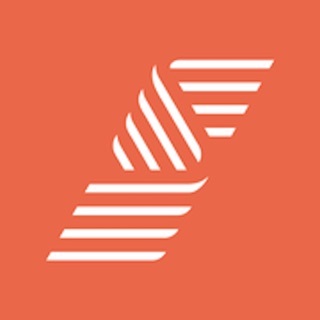 All in all, it's a great app and a fun motivation to get up and move, or a way to kill a few minutes here and there. My complaints are the amount of topazes it costs to obtain anything, and how few the game gives you. It makes it pretty limiting and hard to advance. I also think they should add more worlds and wokamons. It's getting to the point where I have almost every world and am obtaining more and more guys and am starting to feel like there is less to work towards. All in all a fun app tho! Sorry to hear that you are concerned with Wokamon. The Wokamon app is free to play and you can unlock all characters without spending any money on it. Also did any functions break for you which affects the rate you earn topazes? We are a bit confused since we did not reduce any topaz earnings from achievements/chests/ads and etc. We will fix them urgently if you can point us to the right direction. 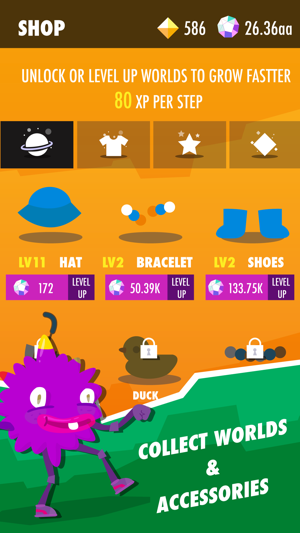 This app is a silly time waste but I check in all the time and make sure by creatures are completely clothed and accessorized on the latest coolest planet. As you move along it takes for ever to upgrade your monsters. I do about 20,000 steps a day and I have three that are taking an eternity to upgrade. People that have 14 to 18 monsters full decked must be marathon runners! I don't know why I do this.